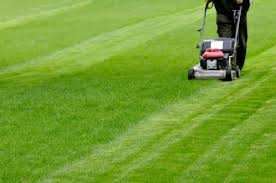 Reno Maintenance-Remember to mow your lawn at 2 inches and no more. Reno Maintenance. Be sure to rake up all the leaves! 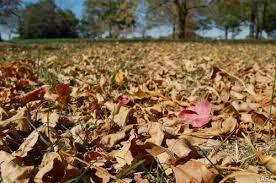 leaves left on your lawn, they can lock out light and air that your lawn needs to thrive. Begin mowing your lawn at 2 inches when the soil becomes a bit cooler. Leaving it longer than 2 inches can trap moisture, which can set the stage for mold and diseases to develop during the spring. Reno Maintenance- too much mulch will prevent air an sunlight from reaching your lawn. Remember to only use a sprinkle of it. Its a good idea to leave a little bit of mulch on your lawn. Just a sprinkle of dead leaves and grass clippings can help return nitrogen to the grass during the Reno winters and spring. We also recommend applying a sustained late release nitrogen lawn fertilizer by the middle of November to be sure your lawn gets the nitrogen, phosphorous and potassium it needs. The soil gets pretty cool here in Reno during the winter months which slows down the breakdown of the nutrients. One last dose of water would also be recommended to help activate the fertilizer. Make sure to drain your sprinkler lines and close down your sprinkler systems to avoid a frozen/broken water pipe.